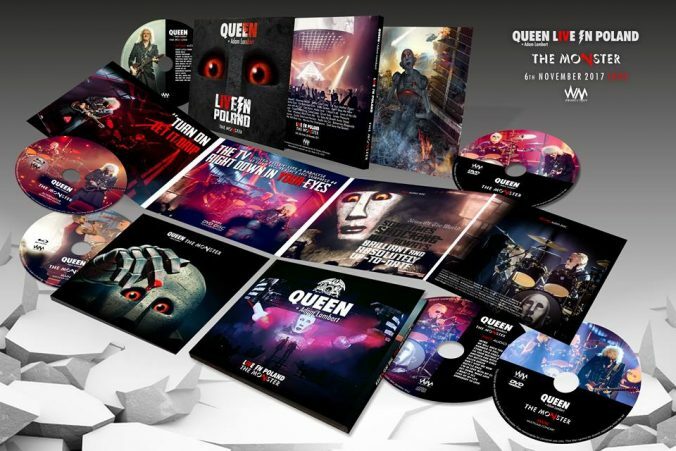 Recorded: Atlas Arena, Lodz, Poland November 6th. 2017. Comments: Nice Polish release of the show in Lodz in 2017. Slipcase release with 2cdr (audio) 2dvdr & 2 Blu-rayR. The film recording is one disc with one DVDR main disc, and one alternative DVDR. Same with Blu-rayR versions. I'm not sure how large the production is, but it hasn't been sold from traditional bootleg mail order shops, so it has more than less been sold between collectors contacts and on some net fan pages etc. Limited production. A fan to fan product. Released with slipcase and full color digi-pack fold-out cover. The Blu-rayR disc's has separate fold-out cover. The DVDR & Blu-RayR disc's has the same tracks as cdr. Complete show. Roots: Audience recording & films.